Science in Sport (SiS) has announced its proposed acquisition of PhD Nutrition for a total consideration of £32.0 million on a cash-free, debt-free basis (subject to certain adjustments). According to a stock market filing by SiS, the consideration is to be satisfied by the payment of £28.5 million in cash and £3.5 million by the issue of 5,833,334 new ordinary shares (consideration shares) to the PhD seller (or its nominee). The shares will be based on a price of £0.60 per consideration share. SiS also announced that it planned to raise approximately £29.0 million before expenses through the issue of 48,394,666 new ordinary shares (the ‘placing shares’) at a price of £0.60 pence per placing share. This is in order to fund the majority of the cash consideration payable to the PhD seller in connection with the acquisition. Commenting on the acquisition and the placing, Stephen Moon, Chief Executive of SiS, said “The acquisition of PhD is highly complementary, doubles the size of our business and accelerates our ambition to become a global leader in premium performance nutrition. The directors recognise that protein is becoming increasingly important to endurance athletes and believe that SiS’ protein product offering, which currently accounts for c.12% of SiS revenue, is currently sub-scale. The directors believe that the acquisition offers SiS the opportunity to acquire an innovative brand with a premium position in the protein market. By combining SiS’ target markets of elite athletes and enthusiasts with PhD’s target markets of sports enthusiasts and gym lifestyle consumers, the enlarged group will have a wider consumer reach and will benefit from access to more usage occasions and distribution points. The directors believe that the premium positions of SiS and PhD within the UK sports nutrition market are complementary, with both brands able to enjoy price and gross margin advantage. The acquisition enables the enlarged group to address the total performance nutrition market opportunity, which exceeds £10 billion. PhD has an established and growing international presence in over 45 countries across Europe, the Middle East, China and Australia. For the year ended 31 August 2018, PhD generated revenue of £20.8 million and adjusted EBITDA of £2.8 million. SiS plans to accelerate PhD’s growth strategy and the acquisition is expected to have an immediate positive impact on revenue with PhD expected to deliver mid-teen percentage revenue growth in the first full year following completion. As part of that growth, SiS expects to boost PhD’s online sales by utilising SiS’ existing platform and capabilities. The Directors believe that PhD could achieve an additional £4.0 million to £7.5 million of revenue from PhD.com over the first full three financial years following completion. SiS also plans to extend PhD’s reach into international markets where SiS already has a strong foothold including the United States (which is the largest protein market globally), as well as Italy and Australia. Conversely, SiS plans to improve its distribution into the Middle East by taking advantage of PhD’s established presence and relationships with regional distributors. It is anticipated that in new international markets such as China, SiS and PhD will combine efforts with regional distributors. SiS Athlete Health, comprising a range of supplements including fish oils and vitamins. SiS products are sold through a range of retail channels, including specialist sport retailers, major grocers, high street retailers and e-commerce websites. 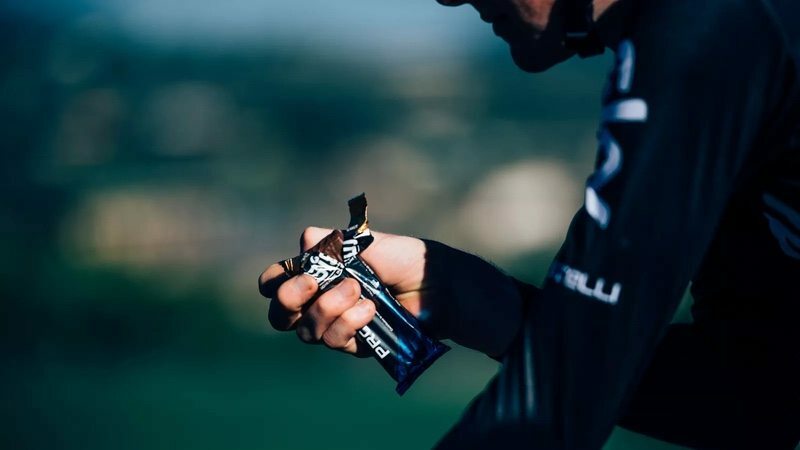 SiS is currently the official sports nutrition supplier to professional cycling team Team SKY along with national associations British Cycling, Cycling Australia, USA Cycling and USA Triathlon. SiS is also sports nutrition partner to Manchester United Football Club. In addition, Olympians Sir Chris Hoy MBE, Adam Peaty MBE and Mark Cavendish MBE are brand ambassadors. SiS was founded in 1992 and is headquartered in Hatton Garden, London. Its manufacturing facility is in Nelson, Lancashire.